Queenstown in spring is a truly special time of year where your options multiply as the days get longer. The valleys burst with wildflowers and cherry blossom, and long sunny days mean you can spring ski in the morning before heading for a round of golf in the afternoon. Throw in lazy days of après in the sun, eclectic festivals and a town that’s ‘always on’, and you’ve got numerous reasons to book a spring holiday to Queenstown. If you’re planning an escape in the capital of adventure this spring, let us help inspire you with ideas to make the most out of your Auckland stay. Whether you are travelling for business or pleasure, or a bit of both, make it a moment to remember. Here’s our guide for September to November to help you explore like a local. A ‘world-first’ has surely got to be first on your bucket list, so check out AJ Hackett Bungy’s new Nevis Catapult. Thrill-seekers will experience up to 3Gs of force as you ‘fly’ across the Nevis Valley in 1.5 seconds (reaching speeds of almost 100kms)! Also new for Queenstown is New Zealand’s only indoor skydiving attraction, iFly Queenstown. If jumping out a plane isn’t your cup of tea, experience the feeling of freefall as you float on a smooth cushion of air in the comfort of a wind tunnel. With soft spring conditions and warmer bluebird days, Spring is the perfect time to hit the slopes. 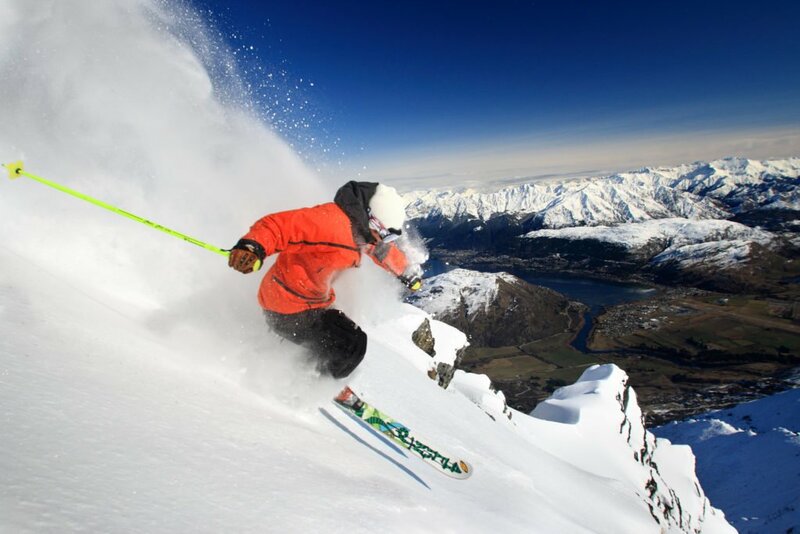 Our four local ski fields are open until late September or early October so it’s worth checking out Spring Pass offers at Cardrona Alpine Resort and day passes for The Remarkables and Coronet Peak. For the ultimate adrenalin-pumping biking experience, Queenstown is home to the Southern Hemisphere’s only gondola-accessed downhill mountain Bike Park, which opens for the season in late September. 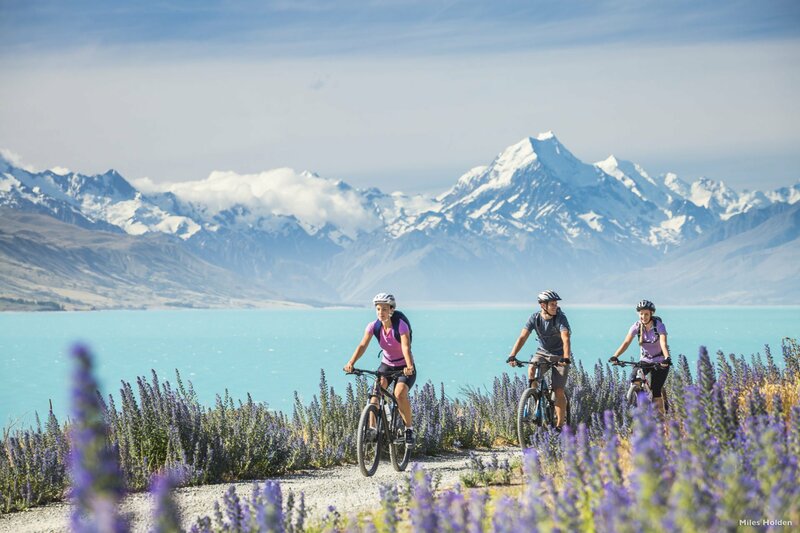 For those who prefer biking without the ‘extreme’ sports aspect, and perhaps with an e-bike to help things along, Spring is the perfect time to explore the Queenstown Trail. With over 120km of relatively flat and easy trails, enjoy spectacular scenery and classic springtime views with sprouting wildflowers, lush green pastures and dazzling displays of cherry blossoms. Fuel up for your spring adventures at Crowne Plaza’s in-house restaurant threesixty. Enjoy freshly baked pastries, a full gourmet buffet breakfast and bottomless barista-made coffee to help start your day in the best possible way! 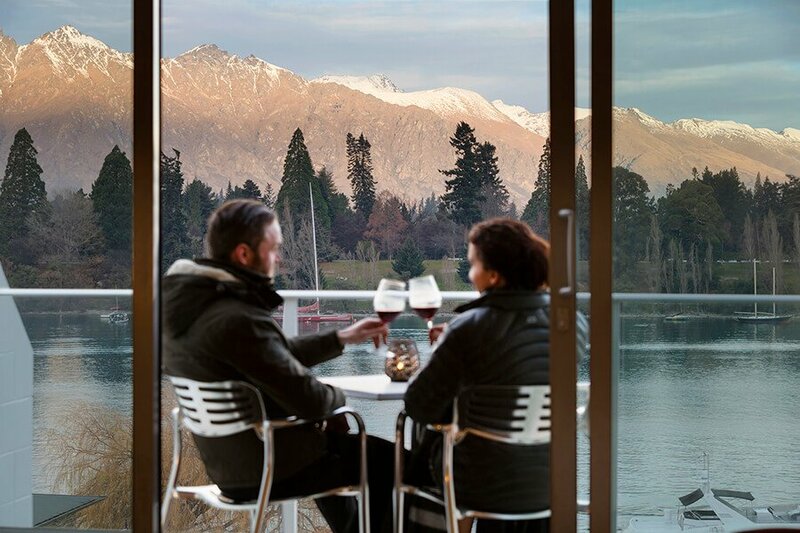 Queenstown is ringed by mountains interlaced with award-winning vineyards, so you’ll be spoilt for choice for wine experiences. Immerse yourself in a sensory experience at Gibbston Valley’s wine cave before raising a glass to Central Otago wines at Waitiri Creek gorgeous white church. If craft beer is more your thing, swap your pinot for a pint at Queenstown’s newest micro-breweries Canyon Food & Co or Searchlight Brewery. After your action-packed day, make the most of the warmer nights and explore Queenstown’s thriving alfresco dining scene. For something new, check out new restaurant on the block White & Wong’s for a tasty variety of ‘east meets west’ cuisine. Locals’ favourite Yonder is the ultimate spot to indulge in wholesome food, with veggies and live music on the side. 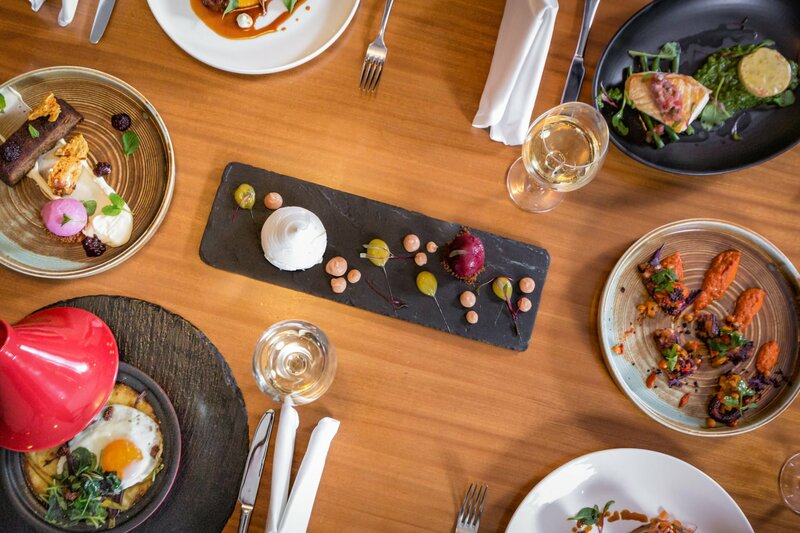 If you’re keen to stay closer to ‘home’, sit back and enjoy our selection of local dishes and Central Otago wine matches at threesixty, as you ponder tomorrow’s exciting itinerary. Or why not try our infamous battle of the cuisines every Wednesday night? Despite an action-packed ‘on mountain’ agenda, those who prefer to keep their feet warm will be impressed with the Spring line up. Winter Pride (September 1 – 9) is the Southern Hemisphere’s most popular winter pride festival and jam-packed with amazing events on and off mountain. look forward to the cabaret nights, dance parties and night skiing celebrations. We’re also proud supporters of Queenstown’s Pride Pledge to increase the visibility and awareness of LGBTTQ+ issues and needs. The Queenstown Jazz Festival (October 19 – 22) brings the town centre to life to the sounds of jazz, funk and blues music as the alpine resort welcomes musicians from around the world. For those looking for a holiday with a side of sweat, the Queenstown International Marathon (November 17) hits Queenstown’s streets and trails. Dubbed ‘the world’s most beautiful marathon’, runners begin outside Arrowtown and wind their way through the region’s stunning trails alongside lakes and rivers before crossing the finish line in Queenstown. Whatever you choose to do with your time, we hope your Springtime adventure is one to remember.